This year’s Dance Gallery Festival felt like going through a break-up, complete with bitterness, anger, fear, and the sweet memories that you must contextualize among the darkness. I was left wondering who had the power and, more importantly, how do you get it? Brute force, coercion, rewards, fear… power takes effect in various forms. It’s complicated. Sometimes it’s silent and meek and other times it’s vigorous and threatening. 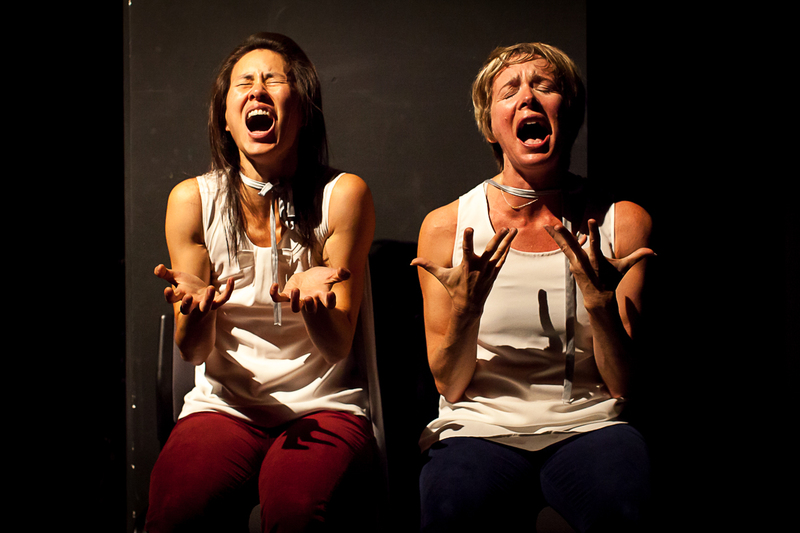 Making modern dance takes time, money, and a lot of emotional energy. It is hard to find venues to present modern dance with the amenities that choreographers desire and the price they can afford. 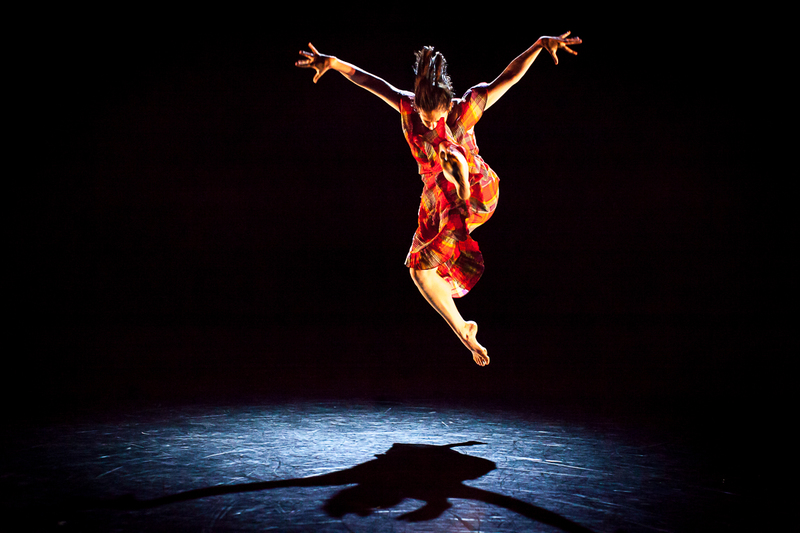 Dance Gallery Festival bridged that gap and launched in New York City eight years ago. The past five years the festival, directed by Astrid von Ussar of VON USSAR danceworks and Andy Noble of both NobleMotion Dance and Sam Houston State University, has offered both established and emerging choreographers the opportunity to present works in Sam Houston State’s beautiful theater. Meticulous lighting by David J. Deveau augmented each work with polished professionalism. There was a breadth of maturity in the choreographic composition on the program, and the dancing was strong throughout the night. Athletic, threatening pieces cloaked the majority of the evening including VENOMOUS by BARE Dance Company, and Abandon choreographed by Robert J. Priore and performed by svelte dancers courtesy of Company E, both traveling to Houston from the east coast. Joining them with forceful power was NobleMotion’s Dark Matter (Excerpt), or perhaps it could be titled Fight Club: beautiful dancer edition, which took place downstage center under a cone of light by David J. Deveau. The dancers clawed, and attacked, kicked and pounced. More than part animal, they hissed and growled at each other with great conviction. But I’m not sure why. The mode of pressure application does not define how effective it is. Joshua L. Peugh’s excerpt of Marshmallow was crafted with the lightest hand, and was deeply captivating in its delicate surrender to sincerity. I was swept away and pulled into the double decker waltzing and the brief and blurry encounter with the dancers in the audience. Watching the performers eat marshmallows tuned my focus and my senses—their chewing became a time travel device. The dancing was elegant and spirited. Excerpts are tricky to pull off in a festival, and this one existed as a complete thought, even in its truncation. In Texas, The Dance Gallery Festival cultivates relationships between students and professionals and provides exposure for participating companies in the Houston area. One of these, Revolve Dance Company, delivered the cleanest unison on the program with The Search choreographed by Amy Cain. Casual, uncomplicated yet articulate, they were the cool kids who didn’t need to fight for the upper hand. Stupid is a Bad Word, choreographed by Adriane Fang and Colleen Thomas, and danced by Fang and Sarah Gamblin, exposed the vulnerability of subjection. The piece evolved steadily from weighted and surprising isolated solos to unison gestures and funny face-smooshing. One dancer poked and the other screamed “use your words” and “use your emotions” after a temper tantrum meltdown on the floor. Two rectangular pieces of fabric transformed with them from a divisive protective screen to a tunic and finally to a cape once they found their voices. This stripped down dance referenced the first time we realize we can stand up for ourselves and own our emotions. Stupid is a Bad Word was significant because it was delivered with wit and oddity. A great reminder that we are our own primary advocates. Kitchen Sink, performed by Jacksonville Dance Theater and choreographed by Rebecca R. Levy, was dark and gentle, and full of heartache, ushered in by Patsy Cline. A couple, danced elegantly by Levy and James Morrow, got together and broke apart and got back together only to break up again. It was the break-up they were addicted to, the space between each other. They were activated by wanting each other and dysfunctional when they had each other. Choreographer Amy Morrow. Photographer Lynn Lane. With an autobiographical breath of fresh air, Amy Diane Morrow danced her self-created solo The Lady of. As the piece opened, all we could see were her articulate legs upside down behind the spotlight. She continued to sparkle with feminine peculiarity, her dance moving from distal twisting to slapping her skin. We heard her voice telling stories of her grandmother, whose plaid watermelon dress she wore. Sassiness runs in the family, and the dress delivered another layer of Morrow’s grandmother, the kind of lady who would dance to “The Girl from Ipanema.” It was her authenticity that held me; real people and real stories are captivating. The dancing was exciting and polished throughout the night, especially with the vigorous energy in The Master (Excerpt) choreographed by Yoshito Sakuraba and You Win choreographed by Erin Cardinal. Crossroads, by Astrid von Ussar, and uncredited music, was performed by four women from Sam Houston State University, another benefit of this festival. 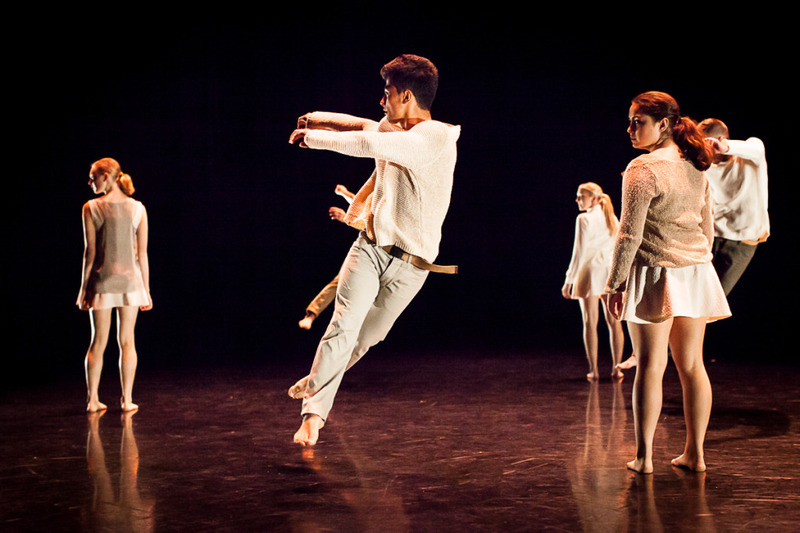 This fifth Dance Gallery Festival in Texas was a strong program showcasing talented professional dancers and students. But the most power came in the pieces with complex dynamics, authenticity, and subtlety. Lydia Hance is a choreographer, filmmaker, collaborator and curator. She is the Executive & Artistic Director of Frame Dance Productions.